Courts are enforcing arbitration agreements between companies and their employees. Resolving an employment dispute through arbitration saves time and money. It is less formal and more efficient than court litigation. An employee has the full range of legal remedies and the dispute can often be decided within 3-6 months. Mr. Harper is a Panel Member, American Arbitration Association (AAA), Expedited Commercial Claims Panel. He is “av” rated by Martindale Hubble and has 30 years of experience as a labor relations and employment law attorney. He is Board Certified in Labor Relations and Employment Law by the Florida Bar. Mr. Harper has tried employment cases before juries in each of the federal district courts of Florida. He has litigation experience in a wide variety and large number of cases, including numerous jury and non-jury trials before federal and state courts and administrative agencies. (“Mr. Harper’s Trial Experience”) Mr. Harper has also served as an expert witness on attorneys’ fees in federal court in employment cases. He also brings experience as having represented both employees and employers. This background and experience makes Mr. Harper uniquely qualified to serve as a neutral in workplace disputes. Mr. Harper is an approved Arbitrator for FINRA ( The Financial Industry Regulatory Authority). He is also an approved Arbitrator for the Florida Bar, Grievance Mediation and Fee Arbitration Program. He has recieved Arbitrator Training approved by the Florida Supreme Court as well as courses in Advanced Arbitrator Training, FINRA Arbitration Chair training and American Arbitration Association (AAA) traning. Tom is an approved arbitrator for the following Florida Judicial Circuits. Seventeenth (Broward County - Ft. Lauderdale) Judicial Circuits of Florida. Historically, when the parties settle an employment-related matter, the employer has obtained a “Full and Complete Release of All Claims,” sometimes referred to as a global release. This release has normally included a confidentiality provision and a provision that the former employee will not seek reinstatement or reemployment with the employer. Tom Harper truly understands the laws that affect the workplace. 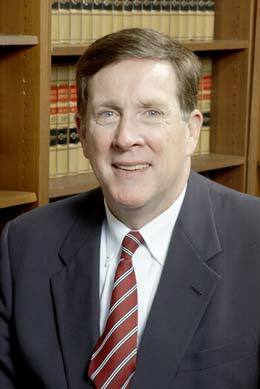 For the past 20 years he has served as Editor of The Florida Employment Law Letter. ( “Recent Employment Law Developments”) This monthly newsletter has over 800 subscribers. As Editor, each month since 1989 Mr. Harper has reviewed employment cases and decisions by the courts and administrative agencies. Mr. Harper has authored numerous articles and publications on labor and employment topics. Some of his publications are available at www.HarperGerlach/Resources/HRStore.com.